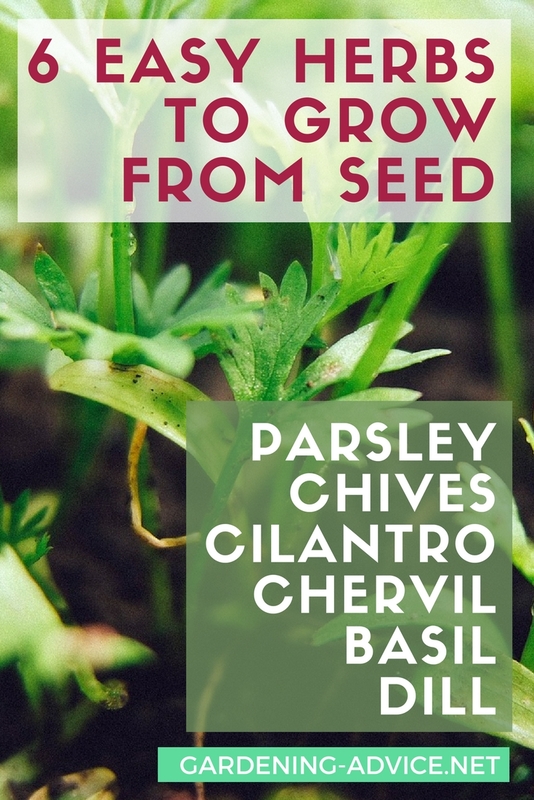 Learn how to plant herbs from seeds to produce enough fresh herbs to meet your needs and even to have enough to preserve some for the winter! If you like to cook with fresh herbs you more than likely need a good supply of them. Nothing is handier than to just go outside the door to harvest them fresh and full of flavor. Once you are used to that you don't want to cook without that. Particularly if you need big quantities of certain herbs and a constant supply it is the best to plant herbs from seed. 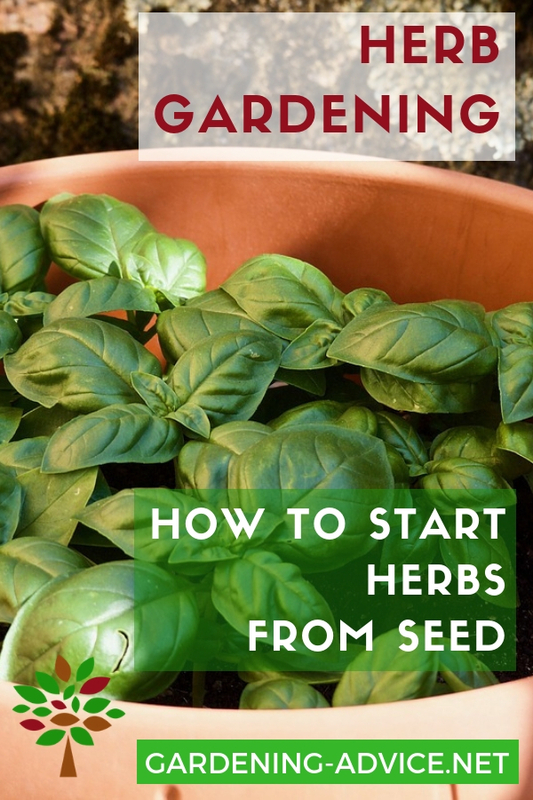 Growing herbs from seeds is also the cheapest way to produce herb plants. 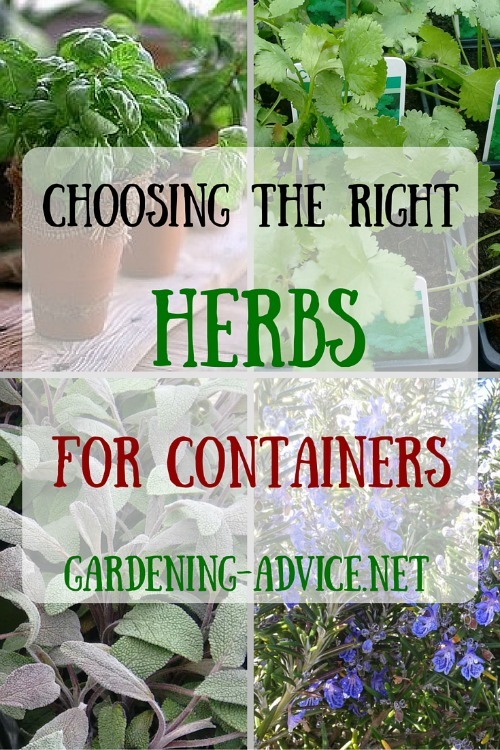 In general you can grow all types of herbs from seed but it might not always make sense. Growing rosemary, sage or thyme might take a long time before you can harvest from them. You also need only a few plants to have enough supply. For these types of herbs it might be easier and quicker to buy an established plant in your local nursery. Or you can root some cuttings of these. 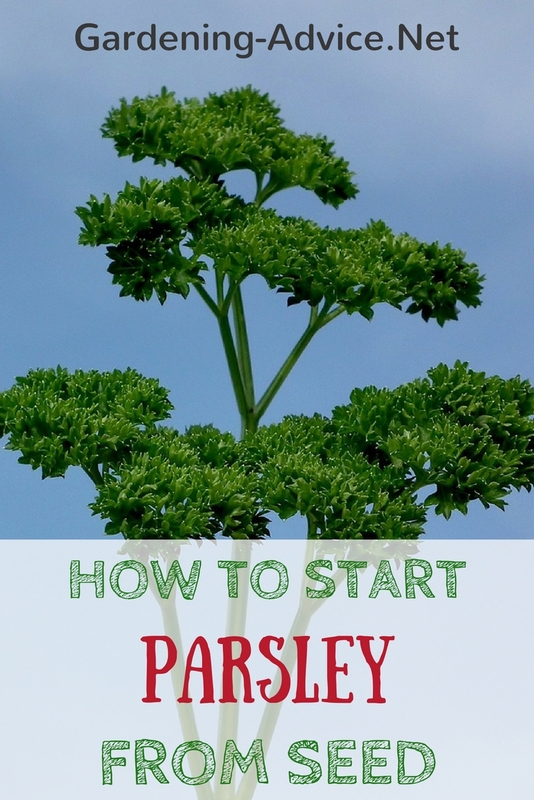 Other varieties like parsley, chives, basil or coriander are easily and quickly grown from seed. The best and most successful way of growing herbs from seeds is to start them off in seed trays and pots in a greenhouse or poly-tunnel. You can also start them off on a window-sill or conservatory if you don't have a greenhouse. 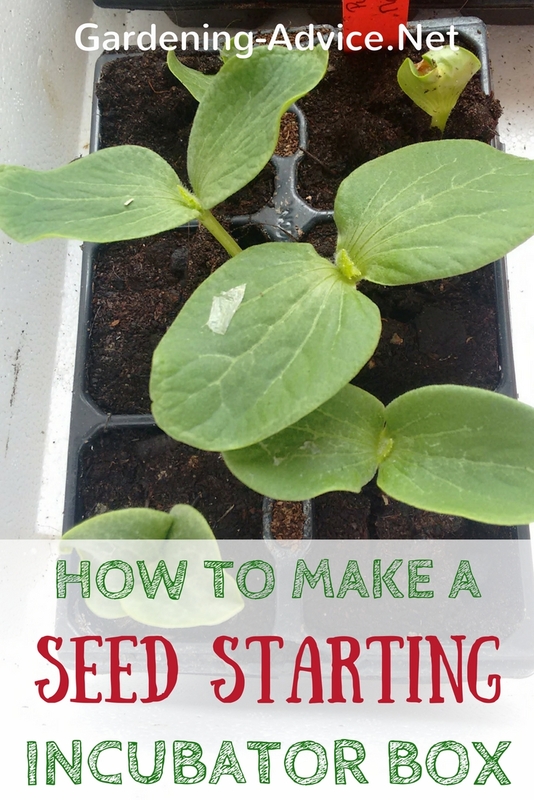 Watch the video tutorial below on how to sow seeds. Fill the seed tray with the seed compost, level it and firm it lightly. Don't fill the tray up to the top. Leave about 1/4 inch from the top and water over it with the rose on the watering can. Pour the seeds onto the palm of your hand. Take some between thumb and index finger and sow them thinly and evenly onto the prepared seed tray. Try not to put them too close together. Put some fine seed compost into a plastic flower pot with holes in the bottom. Shake the compost evenly over the seeds. 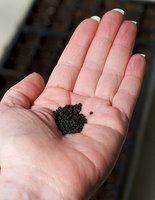 Bigger seeds need a thicker layer of compost than small seeds. The rule of thumb is to cover them with three times of the thickness of the seed. The seed packet will give you exact information on this. Some plants will need light for germination and need no covering. The same applies for very fine seed. Water the tray with the fine rose on the watering can again. with a sheet of glass or clear plastic. This step eliminates watering, speeds up germination and keeps pests away. If you don't cover the tray you will have to water carefully and keep the soil evenly moist (but not wet). Once the seedling emerge remove the glass. Place the tray in a shaded spot in the greenhouse. It is important to choose a place that is evenly warm and bright but not sunny. 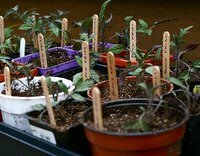 Once the seedlings have produced their second sets of leaves it is time to thin them out and transplant them into individual pots. Fill the pots with seed compost and poke a hole into it that is big enough for the roots. Loosen the soil in a corner of the tray and lift the seedlings out carefully. Insert the roots into the prepared hole, fill it up with compost and firm it carefully. Water well and don't forget to label your pots! 6. Harden them off before planting out. 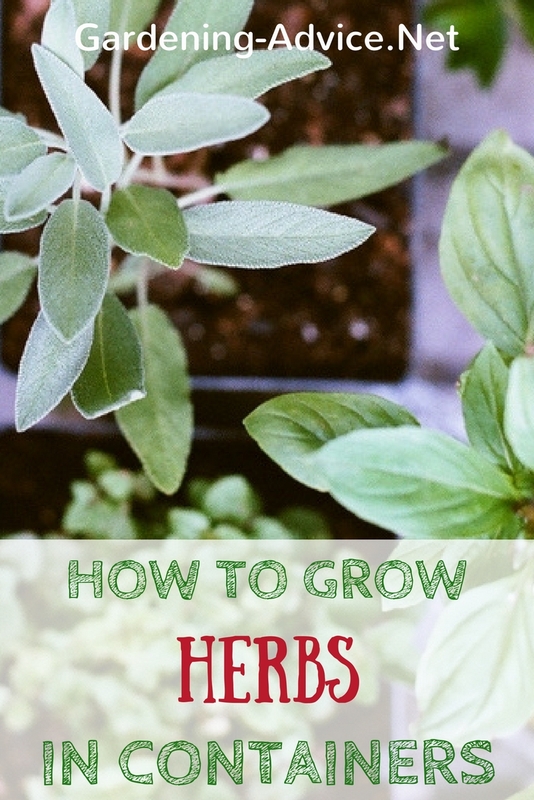 Grow on your new herb plants until they are big enough to go into their final positions. You can either plant them into the ground or into pots, window-boxes, etc. It is important to prepare your seedling for the life outside. The easiest way to do that is to move the plants into a cold frame that you leave uncovered during the day and covered over night for a period of two to three weeks. If you don't have a cold frame you can just put them outside the greenhouse for the day and bring them in again at night. Don't place them into full sun in the beginning. 7. Plant the herbs into their final position in the garden or into containers. Some herbs are suitable for sowing directly into the ground. These include parsley, chives, salad rocket or coriander. To do that prepare the ground well. It should be free from weeds. Choose the spot for growing herbs from seeds well. Most of them originate from the Mediterranean and need a sunny spot with good drainage. If you have heavy soil add some sand and compost to loosen it up. The soil itself can be on the poor side and does not need to be fertilized heavily. Adding some good garden compost is enough for growing herbs from seeds. 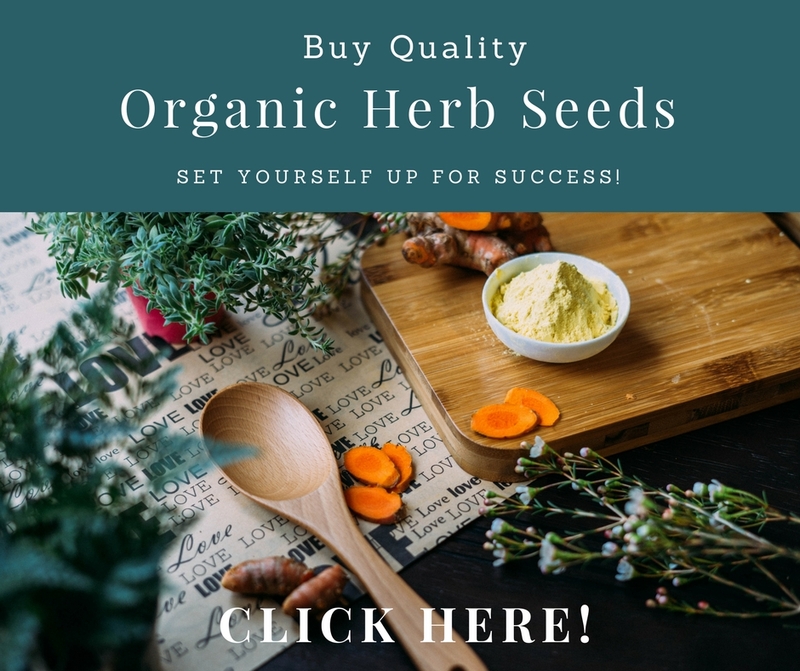 The best time for growing herbs from seeds is during late spring once the soil has warmed up sufficiently and temperatures are up during the night as well. Check for best sowing times for the individual varieties on the seed packets. 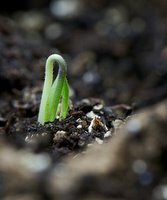 If you are starting the seeds indoors you can start earlier and have your plants ready much sooner. Loosen the soil with a fork and rake it until the soil is fine and crumbly. Check the seed packet sowing method, depth and distance of the rows. Mark the rows on the seed beds with some pegs and string and sow the seed into shallow drills. Cover the seeds with the appropriate amount of soil and water well after seeding. Important is to keep the seedbed moist. After a few days or weeks you will start to see the little seedlings as they stick their heads up. Make sure to control slugs! Careful hand weeding is essential during this period. 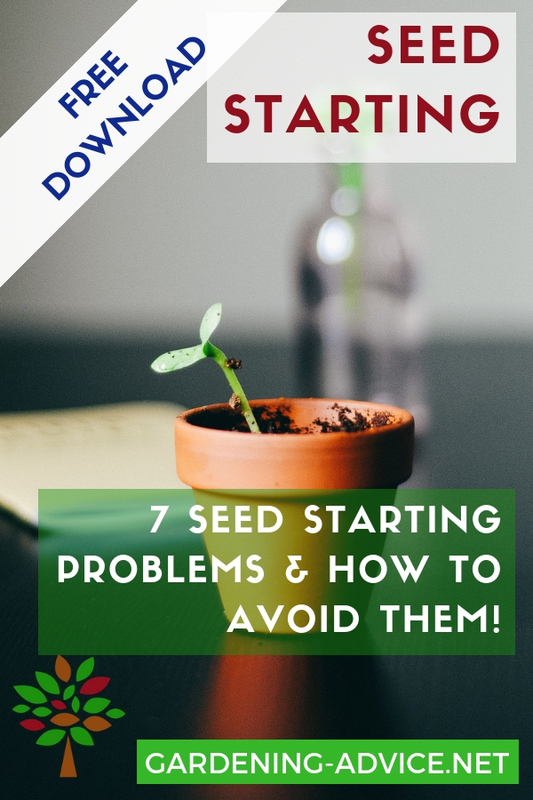 You might have a lot of other unwanted seedlings appear between your herb seedlings that will compete for space, water and nutrients. Mark your seed rows with some fine sand. That makes it easier to determine what are weeds and what are your wanted herb seedlings. Once the seedlings are big enough and have about two sets of leaves it is time to thin them out to their final distance. This is an important step that a lot of people skip! If you don't do it you will end up with plants that don't have enough room to grow to their full size or that will bolt prematurely. Remove weak plants completely. 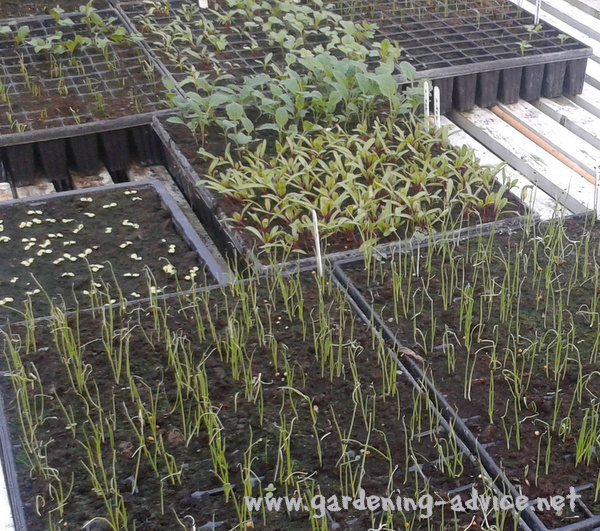 Sometimes you might be able to transplant some of the overcrowded seedlings into other spots or gaps.